roll the rear fenders. YUP, you read that right. 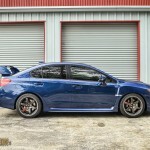 18×10 +40mm running a 265/35/18 Toyo R1R and coilovers doesn’t require a fender roll on the 2015 WRX STI!! They are running an awesome set of coilovers from Ohlins and they are still tweaking the alignment to their professional specs but this is amazing news. It looks like the +40mm is going to be the outboard limit on the new car but the good news is there are more and more wheels available in this size every month!! Alright enough chatter, check the few snapshots Sharif let me post and enjoy. 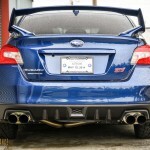 So, who’s ordering a new 2015 STI or WRX? 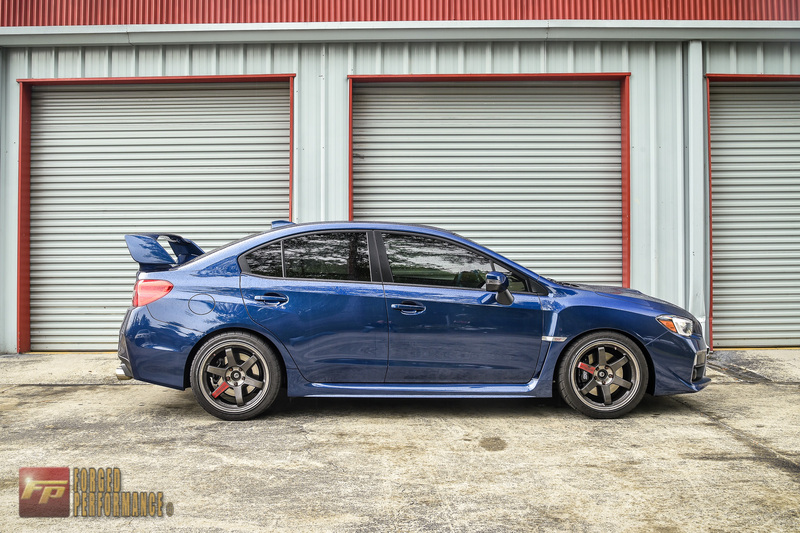 Stay tuned for more articles on the 2015 STI and 2015 WRX and always be sure to check back. 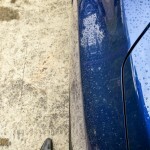 What color are those VOLKS? These are the standard TE37SL color. “Pressed Graphite” is the color. 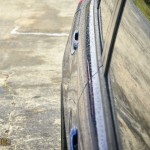 Could u run a a lower offset on base 2016 wrx ..I want to run a+30 in volk te37? Will these sets of TE37sl18x10+40 with (tires 265/35/18) fir with stock suspension and height? ?